Through years of experience, innovation and knowledge, Classic Army has developed a creed of total performance. 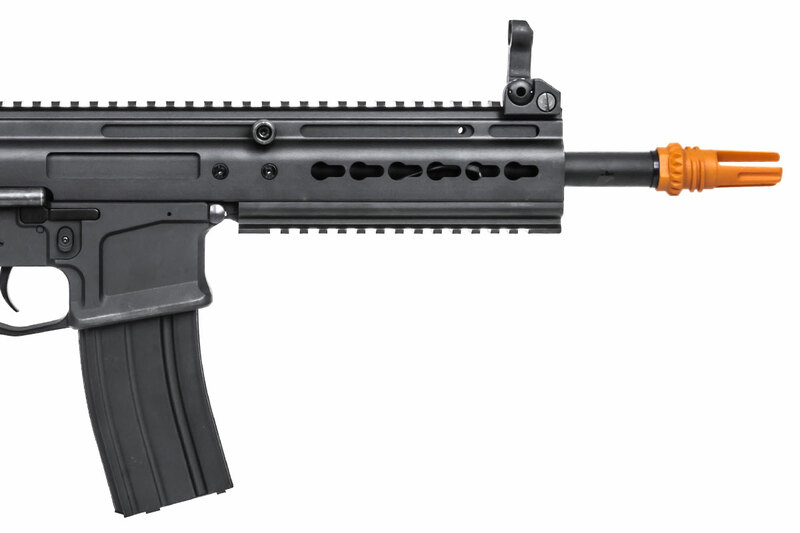 That dedication to realistic looks and action lives on in the Classic Army Scarab Special SAR Carbine. 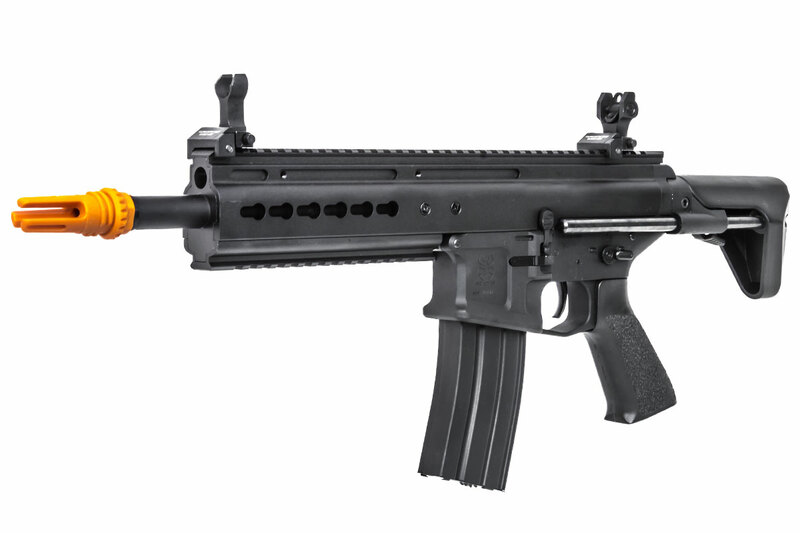 The Scarab is a full-metal airsoft gun with an impressive array of features. 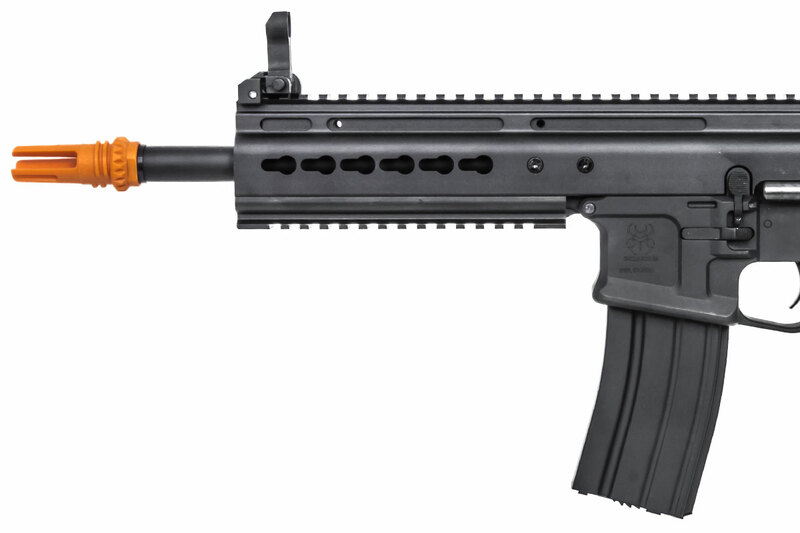 It has a monolithic rail hand guard measured at around 7" from the magazine well to the front of the system. The top and bottom of the front hand guard area feature weaver/picatinny rails and side KeyMod sections. 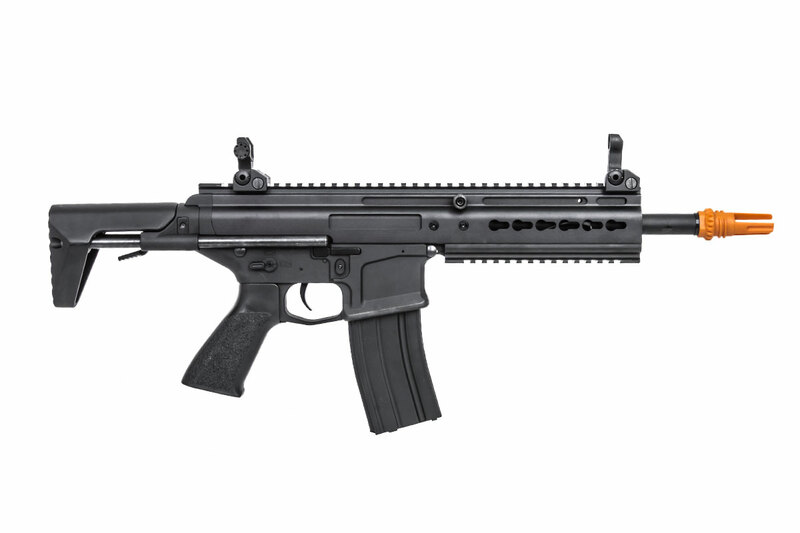 The monolithic profile of the rail system gives you plenty of rail real estate to accessorize with optics, lights, lasers, forward grips and more, so you can customize this gun to your particular mode of play. Additionally, there is a three pronged flash hider with threads that you can use to attach a QD mock suppressor. The adjustable stock can be set into three positions or removed from the body of the airsoft gun if you are looking for added portability and mobility. 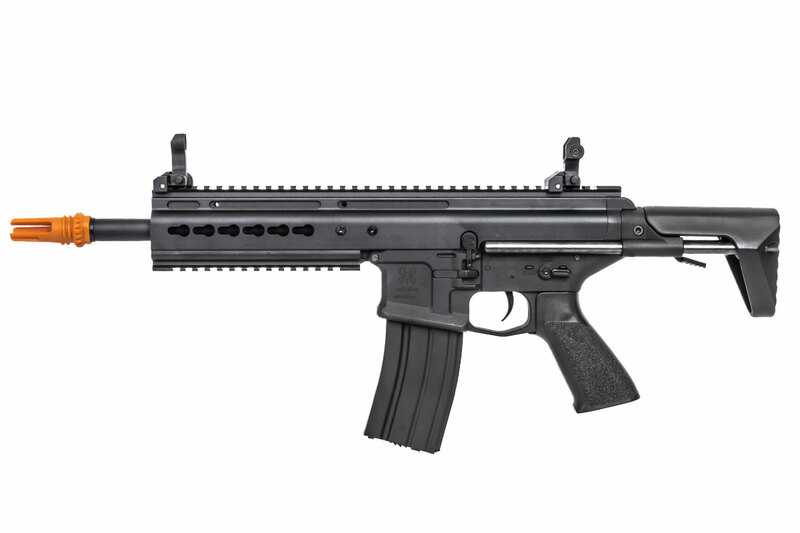 The ambidextrous charging handle, fire selector and magazine release are great for versatility, and make this gun a good choice for all-around use. The gun also comes with flip-up front and rear sights and an ergonomic grip. 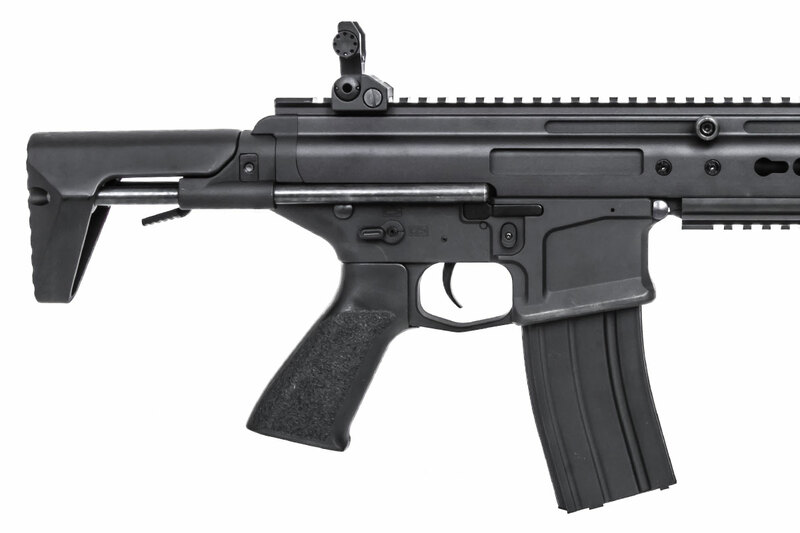 Internally, the Scarab has steel gears with an electronic trigger unit, 6.03mm tight-bore barrel, silver low-resistance trigger wiring and a quick-change spring system. The quick-change spring system allows for fast and easy spring changes without having to go into the gearbox. The design of the Classic Army Scarab provides a very crisp trigger pull, bringing users satisfaction with every shot. 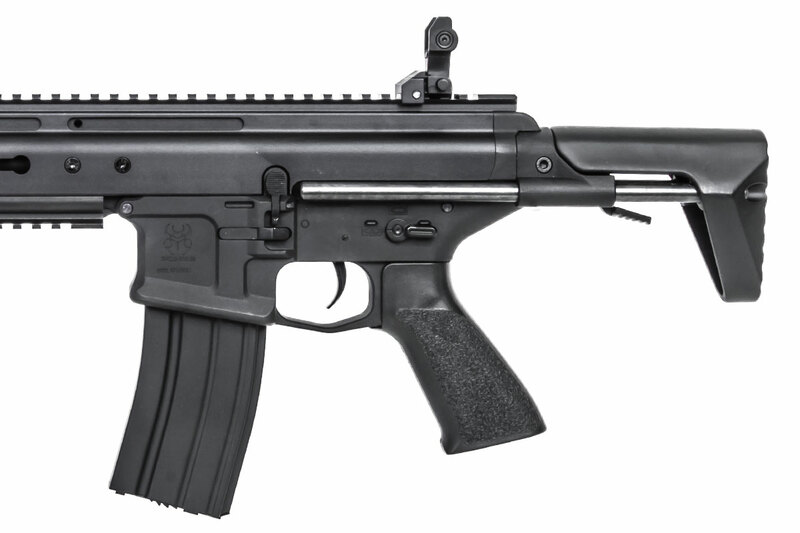 The Classic Army Scarab Special SAR is an ideal close-quarters rifle. With its shorter barrel and collapsible stock, you can get the smallest profile and move in and out of buildings a lot faster. A programmable trigger allows you to get off those short bursts that can be so effective with this surprisingly accurate gun. On top of all this, Classic Army has included a Classic Army 28" Multi-functional Gun Rifle Case that has multiple pouches with the bag to bring the Classic Army Scarab Special SAR with you onto your next match. Shoots great at 320fps (not 370-80)and I could consistently hit 12" targets at 50m. Battery blues: the compartment is tiny and requires tools to access. I found a lancer 11.1 nunchuck just barely fits after rewiring. Some tenergy 7.4s both stick and nunchuck work too. It's heavy and feels good, but has no sling points. You can keymod/ rail some up front but the back end will be awkward.